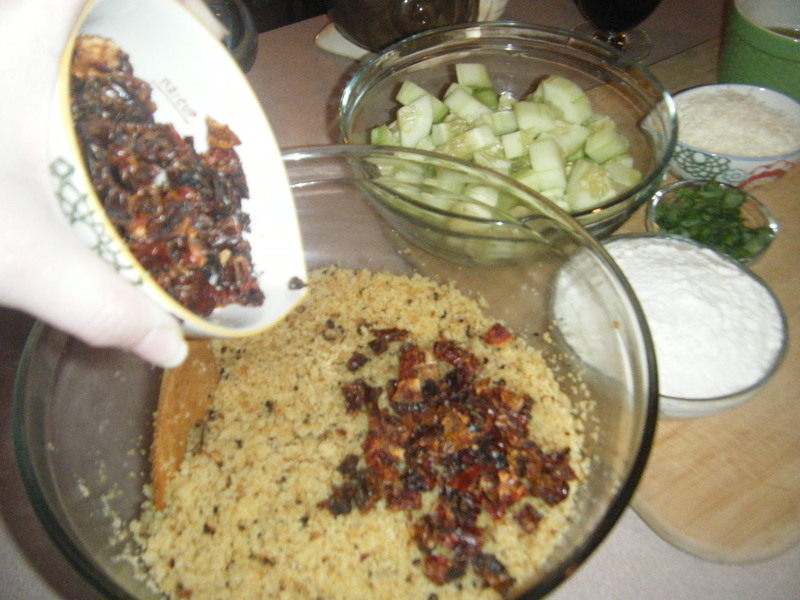 I love talking recipes with my co workers during our down time, and I have to say that I tried a recipe one had told me about and I was pleasantly surprised! 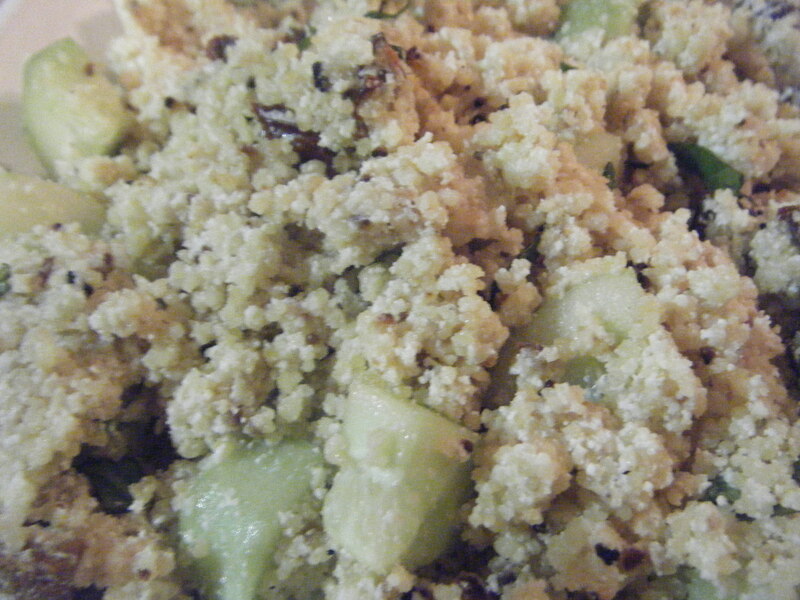 I love couscous but I will be honest in saying that I have never thought out side of the box when it comes down to it! 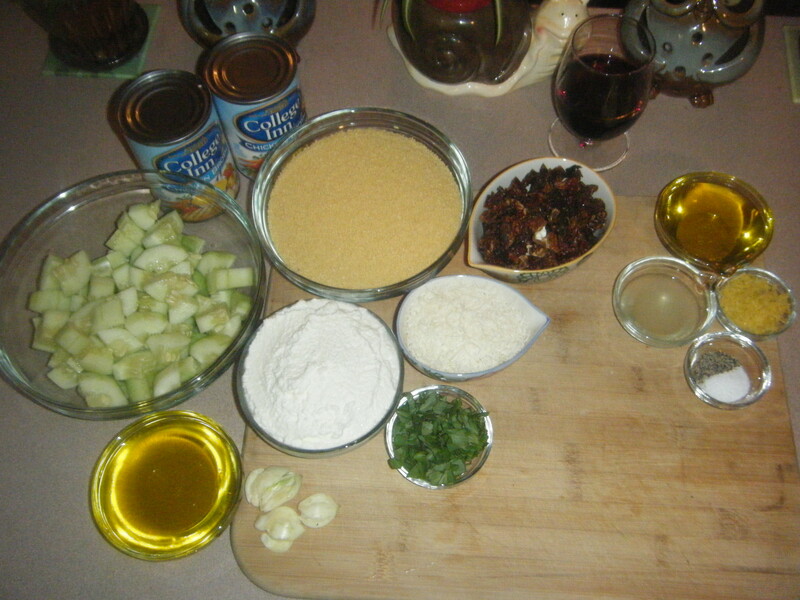 I have always just used the chicken couscous or the olive oil and parmesan couscous from Near East and just left it at that. 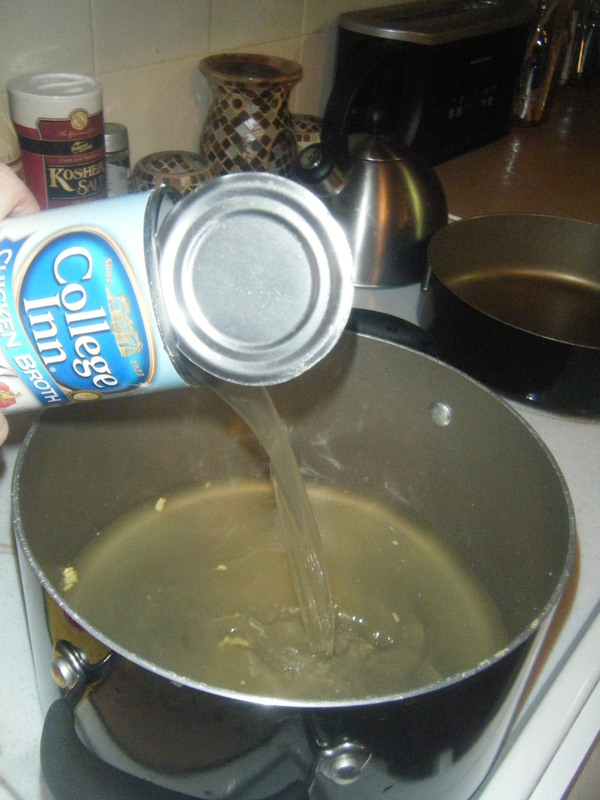 Was I missing out or what?!?!? 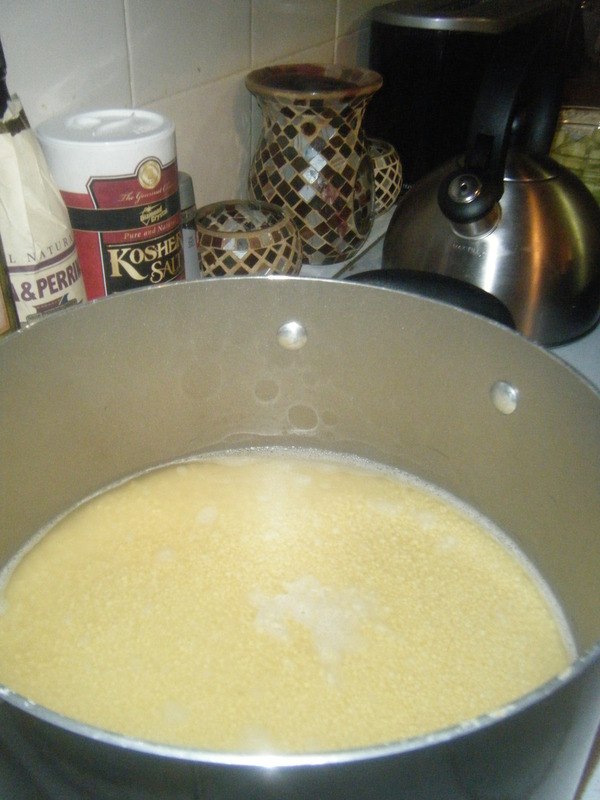 In a large pot, bring chicken broth to a boil over medium high heat. 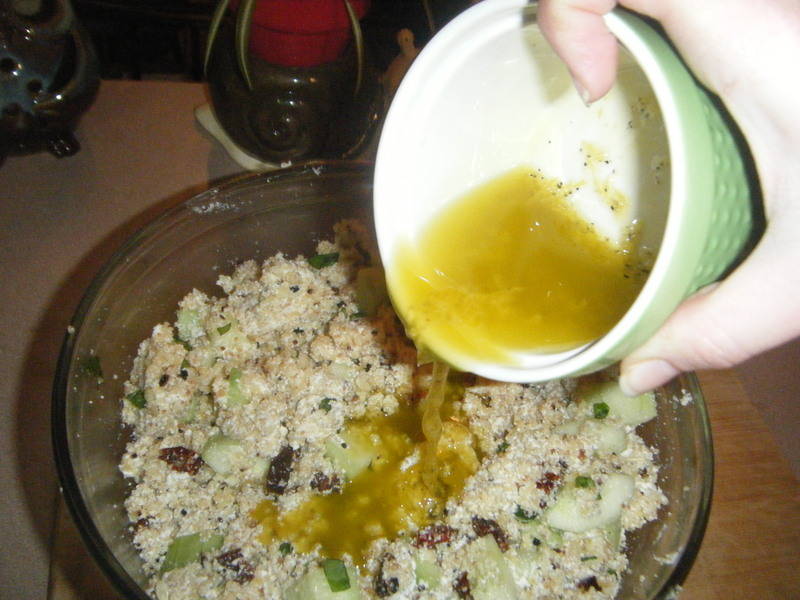 While you wait for the broth to boil, work on the dressing so the flavors have time to muddle. 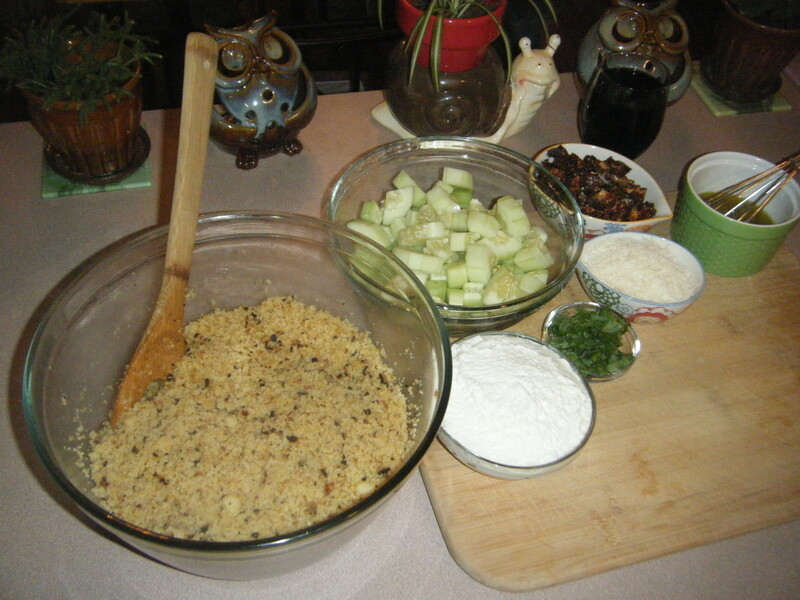 Add the lemon zest to a small bowl. 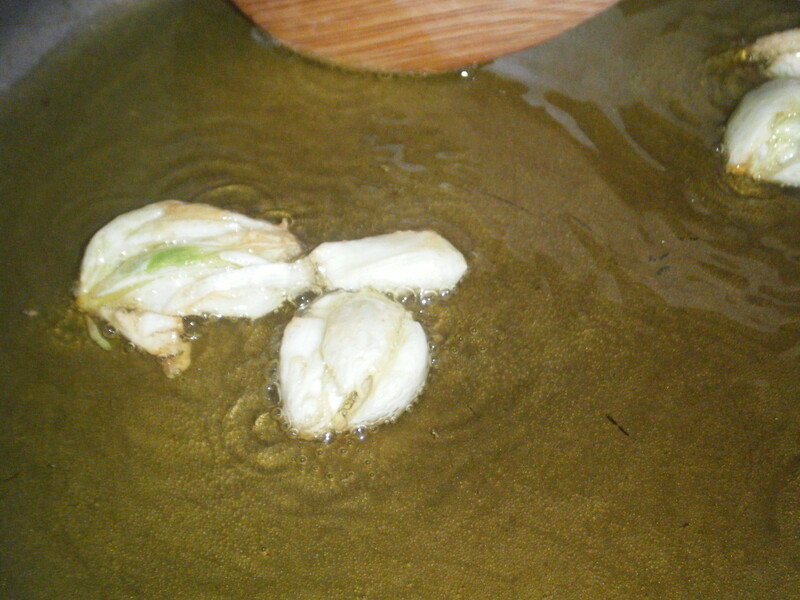 Followed with the lemon juice. 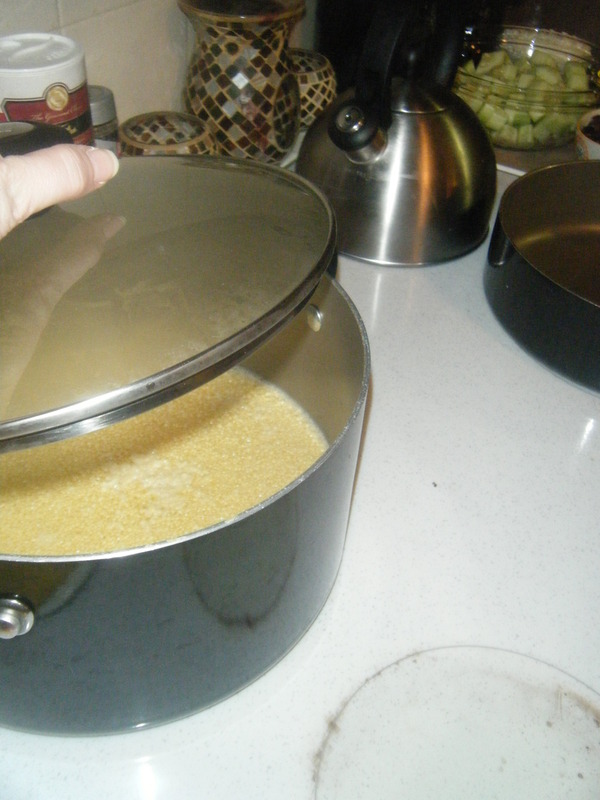 Once the broth is boiling, turn the burner off and remove it from the heat. 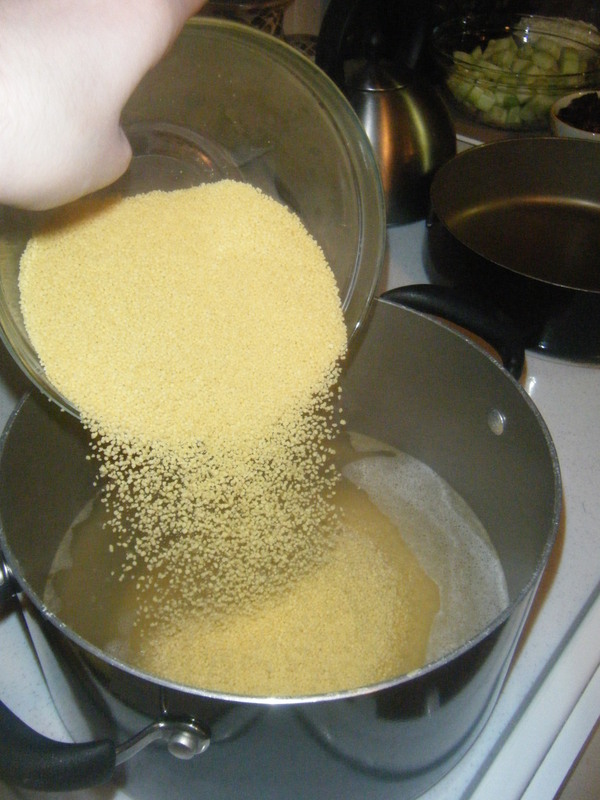 Cover and let sit for about 5 minutes or until all the broth is absorbed and couscous is tender. 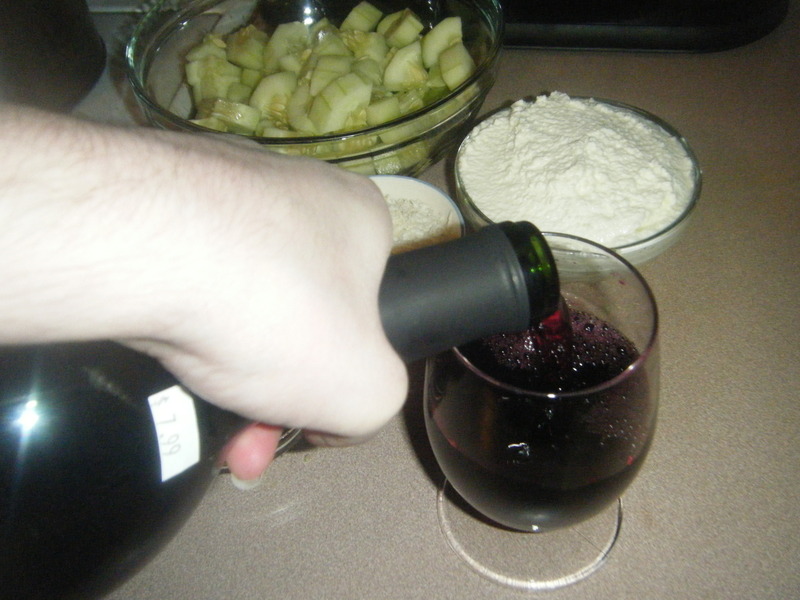 Pour yourself some wine and get ready for the real adventure for the night! 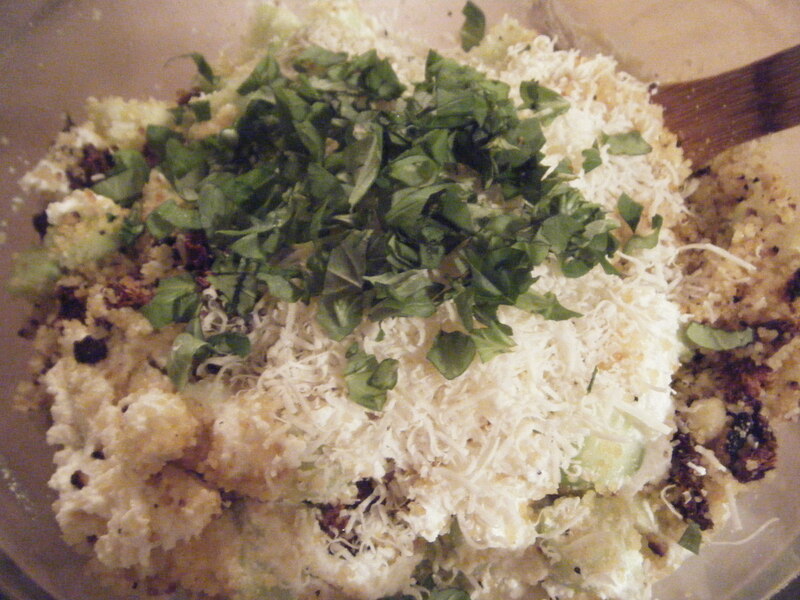 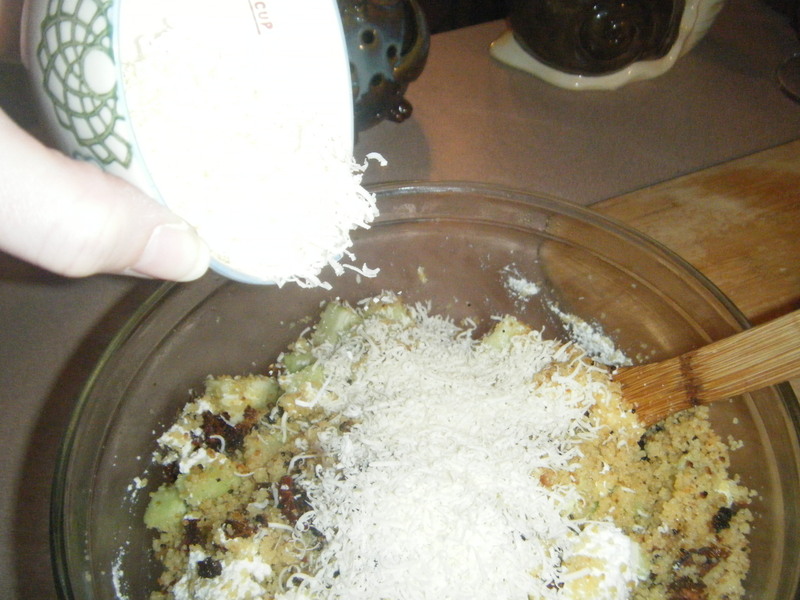 Add smashed garlic and sauté until golden brown in color about 2 minutes. 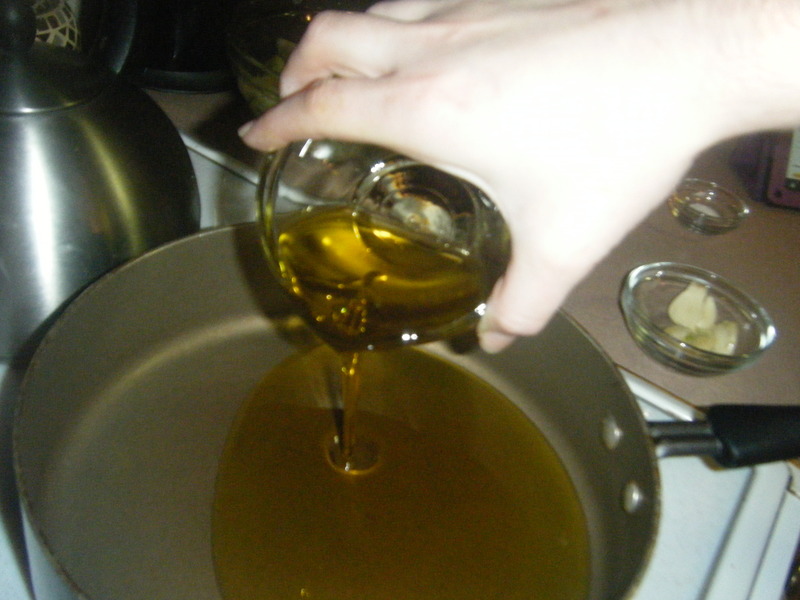 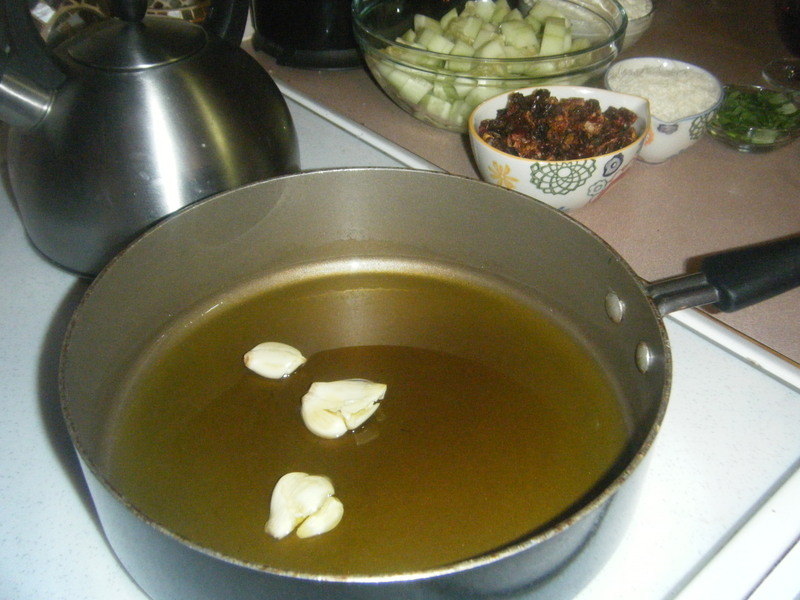 Remove garlic from oil and discard then increase to high heat. 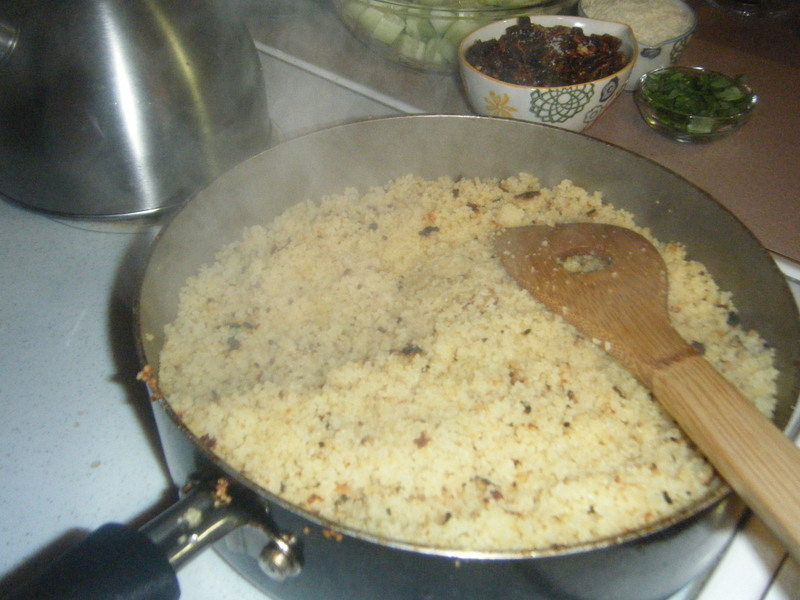 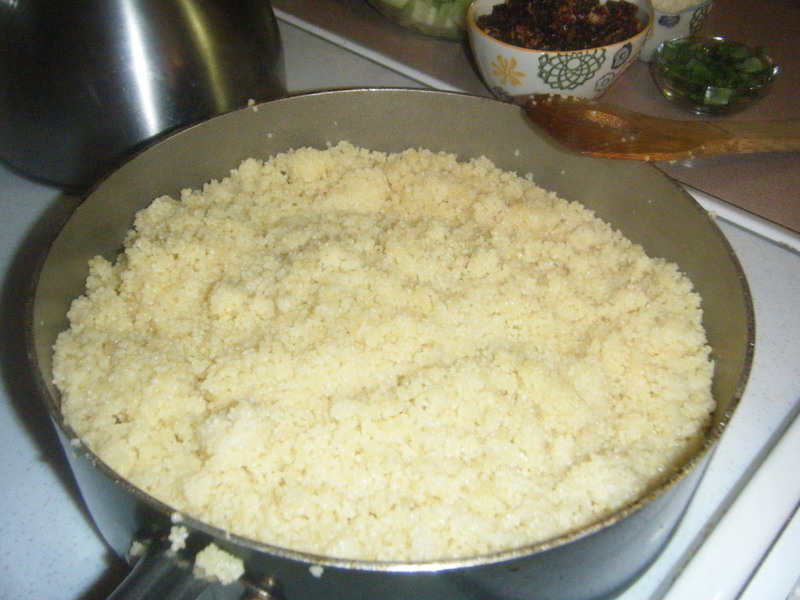 Break up any clumps of couscous then add it to the pan with the oil. 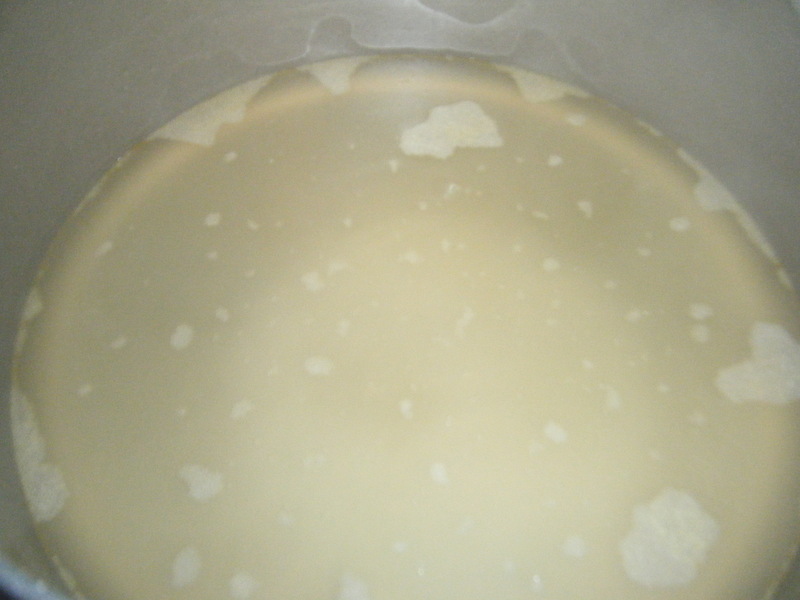 Cook stirring constantly for 5 minutes. 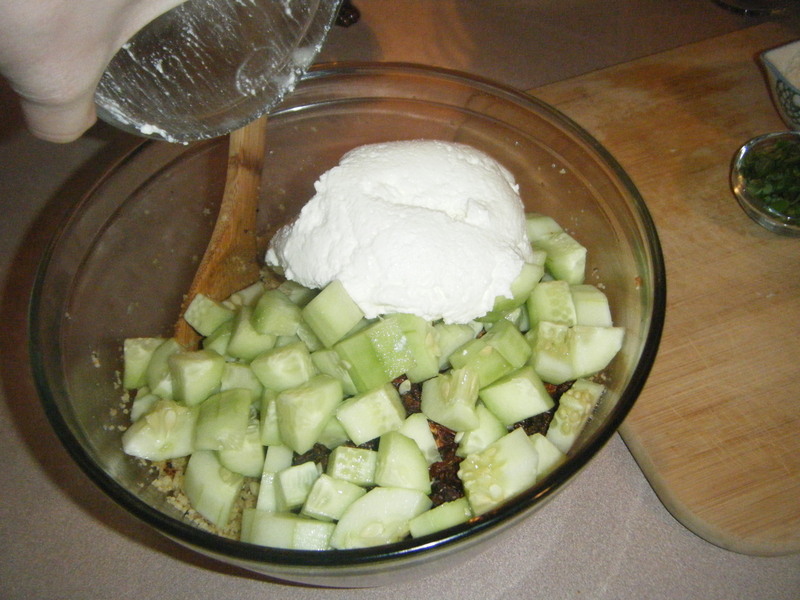 Now it gets real…. 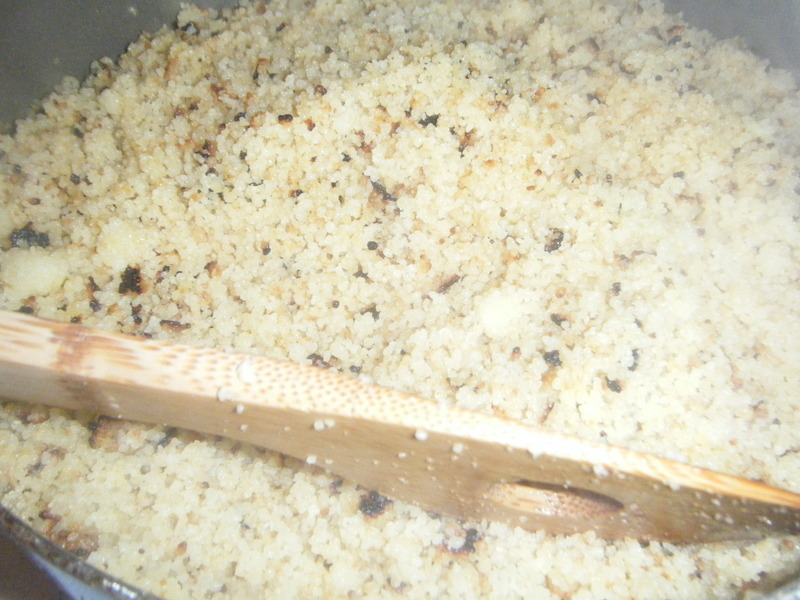 continue to cook over medium high heat stirring every 5 minutes until toasted; about 25 minutes. 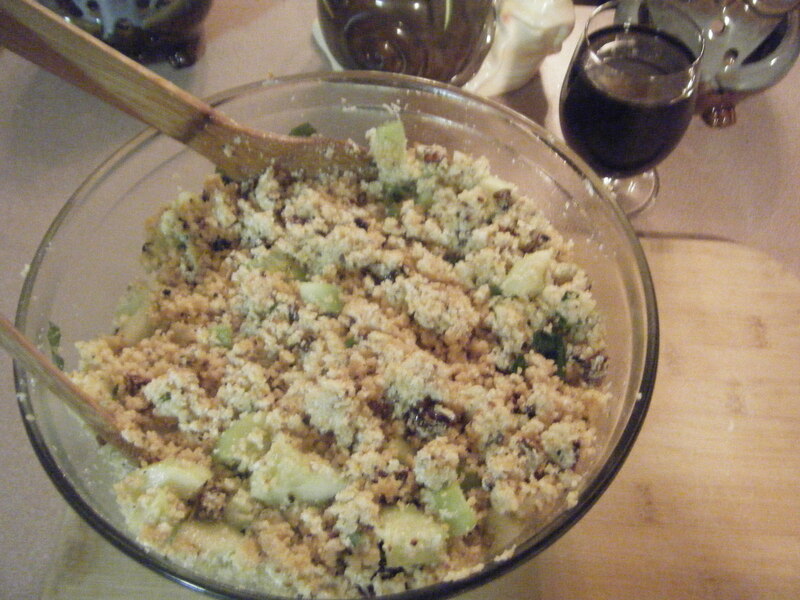 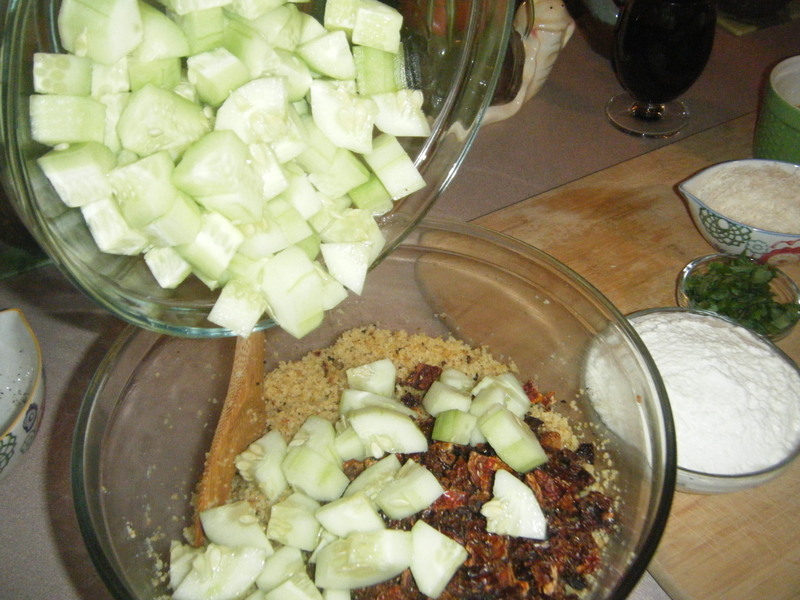 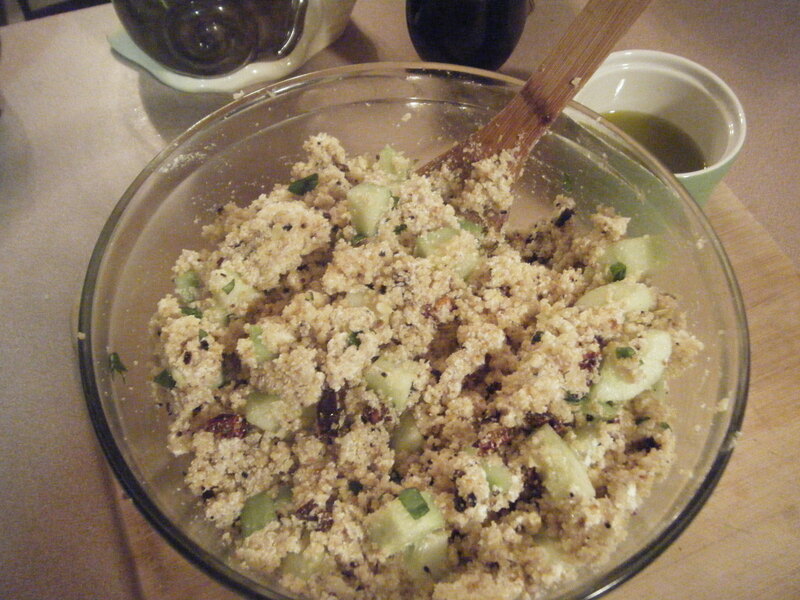 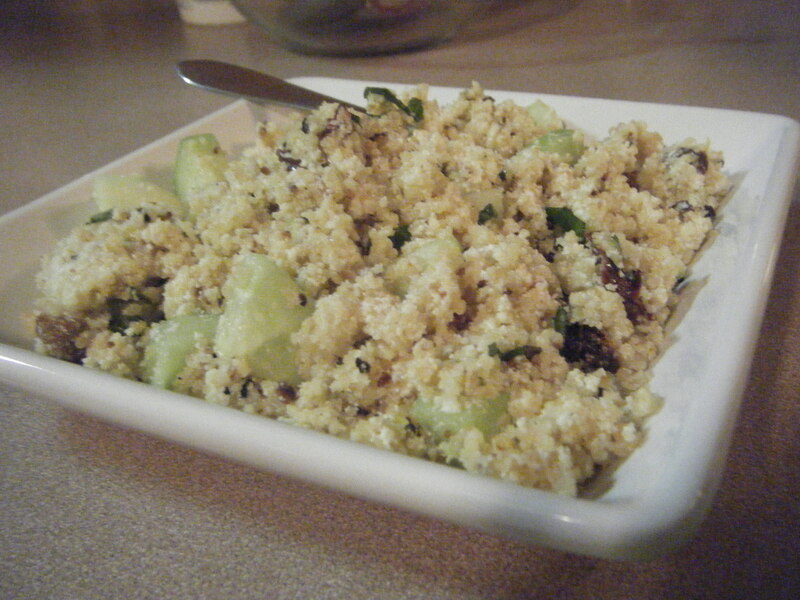 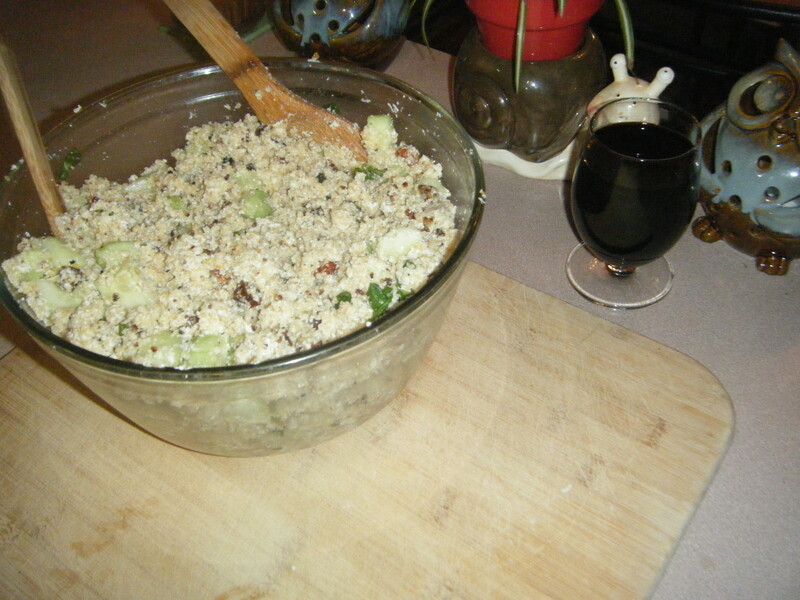 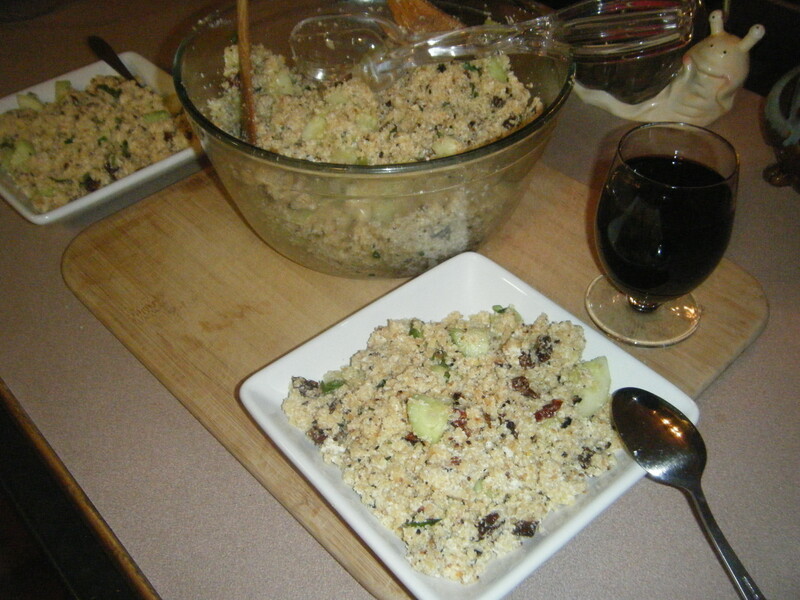 Transfer couscous to a large serving bowl. 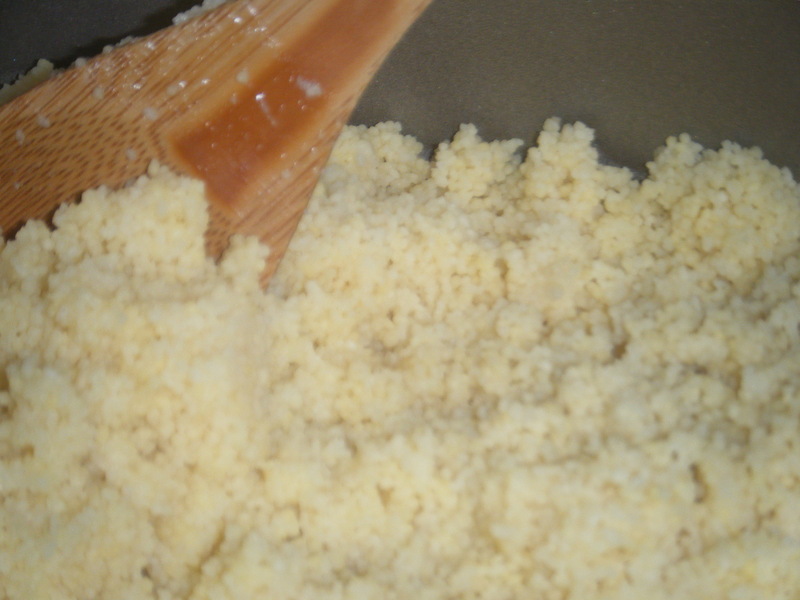 Now for the easy part! 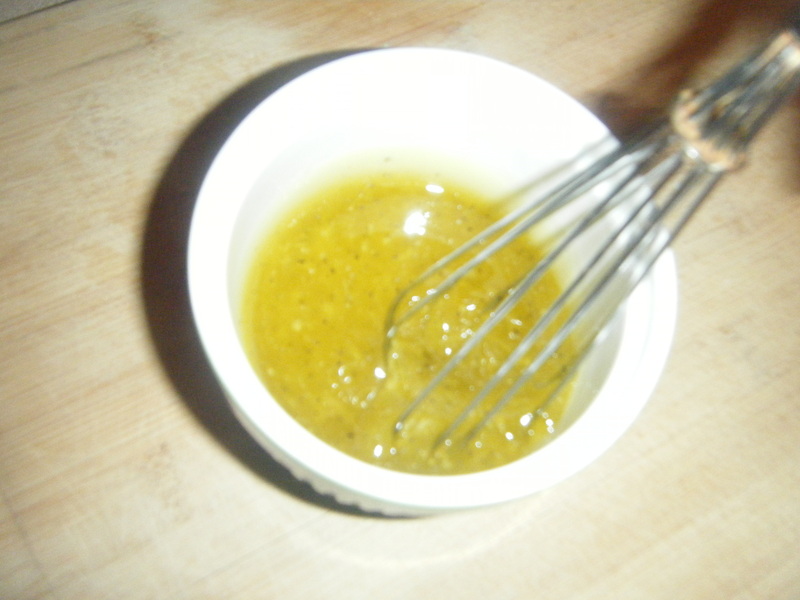 Top with lemon/oil dressing and mix well again.